You probably know that to post something on Pinterest, you usually need to attach a nice image to that link or page. That’s because Pinterest is a visual search engine with social media elements. It’s crucial for your success on Pinterest to upload quality images optimized for this platform. I’ll show you various ways of posting pictures on Pinterest in this article, but before we move to that part, I’d like to give you the very basic information regarding quality and size of images which perform on Pinterest the best. First, you need to know the rules of the platform. The majority of Pinterest users are on mobile devices, that dictates the ideal image ratio for a pin. Pin images must be vertical! Second, there is a recommended image minimum size 600*900 pixels. This is a 2:3 image ratio. Pinterest wants to make sure that your image has a great resolution on ANY device, that’s why it’s not recommended to make images smaller than 600 by 900. Third, you don’t have to keep all your images strictly within 2:3 image ratio. Your pins can be longer, up to 1:2 ratio (that would make 600 by 1200 pixels). Anything longer than 1:2 ratio will be cut off. You can do the entire process manually (and I’ll show you several ways of doing it manually). You can use automation tools (aka Pinterest schedulers to save a lot of time and to be able to pin outside of your timezone). Let’s look first at the manual pinning methods. On the next step, you will be able to either upload the picture from your computer or alternatively, you can add a link to your webpage and Pinterest will suggest images you already have on your image as pins. Pin title (should include targeted keywords for the best Pinterest SEO performance and traffic). Pin description (you can also add keywords to your description in the form of Pinterest hashtags). You can then select saving the pin straight away, or to schedule pinning it later. This is the native Pinterest scheduling tool, however, I would recommend you first to test if this works properly on a couple of pins. I personally found that in many cases Pinterest was replacing the link to the webpage by a link to a pin URL. So a user clicking on this pin doesn’t head to your site, instead, the same pin loads again. You are losing traffic, users aren’t getting what they want (they might even report or flag your pin for this). This looks like a glitch and hopefully by the time you are reading this post, it will be fixed. But I would still check it on a few pins before scheduling a bunch of them and if you see an issue, maybe for scheduling pins you’d better use an officially authorized Pinterest scheduler Tailwind (more about it later in the post). If you have all the images you want to save to Pinterest, on your webpage or blog post, you might want to use Pinterest’s browser extension (it’s free) on a desktop computer. This makes saving pins a lot easier as your pin SEO titles and SEO descriptions will be pulled from the webpage, as well as the page URL. All you need to do is add pin description itself. But even for this part, you could pre-define it on your site using a social sharing plugin or by adding your keywords to alt tag of the image. Tailwind scheduler makes it even easier saving pins from your website, especially when you have several pictures linked to the same page. That’s because you should space pins apart from each other to avoid Pinterest’s spam filters to be triggered. If you save multiple pictures using Pinterest’s own browser button, it will save them all simultaneously and to the same board. Tailwind extension allows you to set intervals (for example, saving pins with 1 day or 1 weeks intervals) and select boards for each pin separately. The more I work on Pinterest for my blogs, the better I realize this whole dispute around manual pinning vs schedulers is simply nonsense. 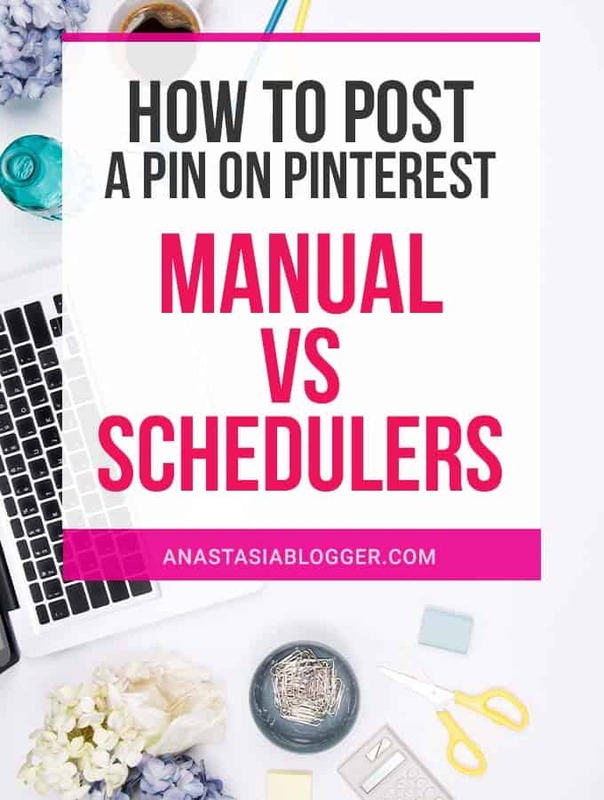 Here is the disappointing truth for you: both manual pinning and scheduling on Pinterest will be essential parts of your blogging routine, whether you want it or not. Of course, if you plan to get a lot of traffic from Pinterest. What is manual pinning (for content creators)? 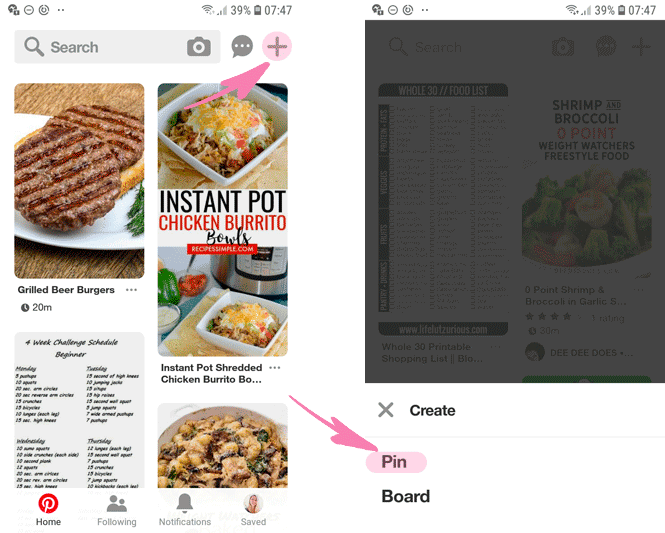 If you are not a regular user on Pinterest, but a website owner trying to drive traffic from this platfrom, you will do a lot of stuff on Pinterest manually. You will manually SEO optimize your profile, boards and search for the best keywords. By the way, if you are looking for a Pinterest keyword tool, I wrote about it here. You will manually repin some of your most popular pin URLs to show them more times in group boards. To find your most popular pins, you can look into your Pinterest Analytics or into your Google Analytics. 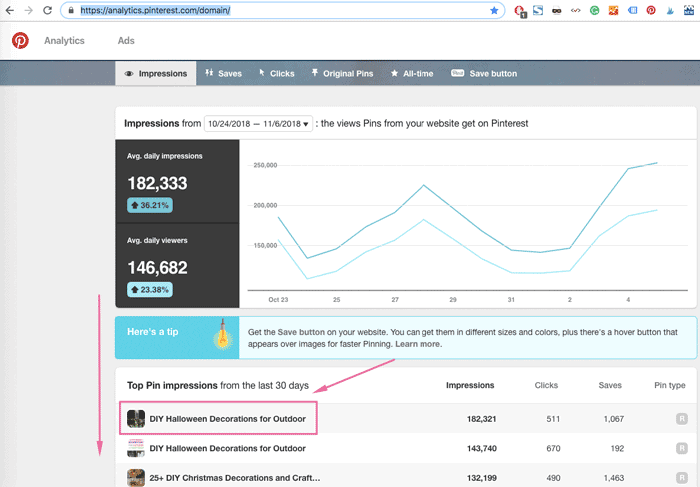 In Pinterest Analytics you’ll find the top pins by impressions for the last 30 days. Go to Analytics >> Website or just directly to this page. Click on each pin title to open the exact pin URL and repin this popular pin a few times a week to relevant group boards to keep showing this pin to more people. 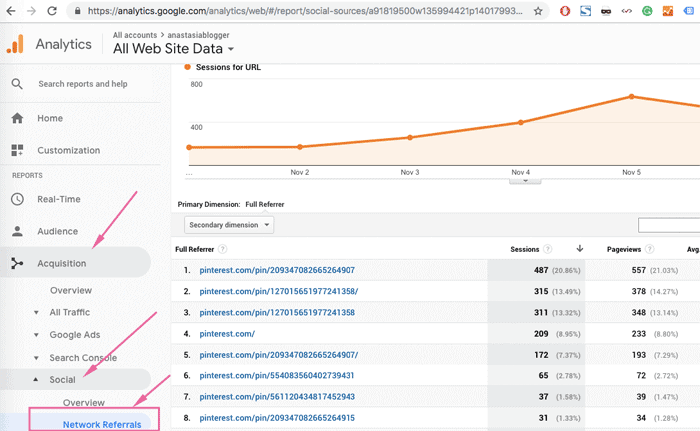 In Google Analytics, you’ll find similar stats with pin URLs. Go to Acquisition >> Social >> Network Referrals >> Choose a particular post >> Check the exact pin URLs. You’ll have to copy and paste them from here to your browser to open in a new window (Google Analytics won’t open them automatically). You will also manually do research for other popular pins in your topic to save them to your own boards. It’s always better to save your first pin from a new post manually to the most relevant board. And it’s better to do it from your website, this way you can double-check that everything shows up in your pin as you want it to be. It’s important to check it because when your readers save pins from your website, you can’t fix their pins if they end up having some errors. check the URL of your pin by clicking through to your post (this one is probably the most important a 404-error page instead of a page can hurt your Pinterest account badly, plus if your pin gets repined by other people, all those repins will be with a broken URL and you’ll never be able to edit their pins). If you schedule your pin first time using Tailwind you will not notice any of these because your pin will go straight to the schedule. You will not be able to see the pin itself unless you choose in Tailwind the “pin now” option. And guess what? Even if you choose the “pin now” to see how it looks, and if there is an error in that first pin, you are still in trouble. You’ve already scheduled it with the same error to 10 more boards with 2-3 days intervals, you’ll have to manually go through your schedule and remove every broken pin. So, you might be asking now, if you do so much stuff manually, why even pay for a Pinterest scheduler? Did you get to a point in your blogging journey where you’d better be paying $10 a month to save 20 minutes a day on one of your endless routine tasks? 20 minutes a day is 600 minutes a month, which equals a full working day of 10 hours. Is it worth $10 for you? Would you work an hour for $1? Tailwind can do this work for you when you are on vacations, when you are asleep, when you are busy working on your new content or products, when you work with your clients, visit conferences, when you simply need to focus on a new project and can’t afford any distractions several times a day. Tailwind is an official Pinterest’s partner, so you are safe to use it. If your audience lives in the US and you live in Europe or Australia for example, a scheduler is not just a time saver, it’s a game-changer because it will pin while you sleep. As that’s when your audience is active on Pinterest! Tailwind takes a bit of time to learn how to use it properly. I’ve seen a lot of unfortunate examples of how people get their accounts suspended for pinning too many pins at the same time. They missed a few little yet very important steps in setting their schedule. This is why I recorded my Tailwind course – I honestly can’t imagine a better format of showing you how I click here or there, choose this or that setting. And I made this course very affordable because I genuinely want to help as many people as possible. I feel sorry for all the bloggers who paid for Tailwind, messed up with it and spent a lot more time trying to fixing it, got accounts suspended and are opting for manual pinning just because they are afraid to use this tool ever again. It’s not impossible to figure it out, and you can do many things more efficiently in Tailwind if you watch how I do it on my accounts. 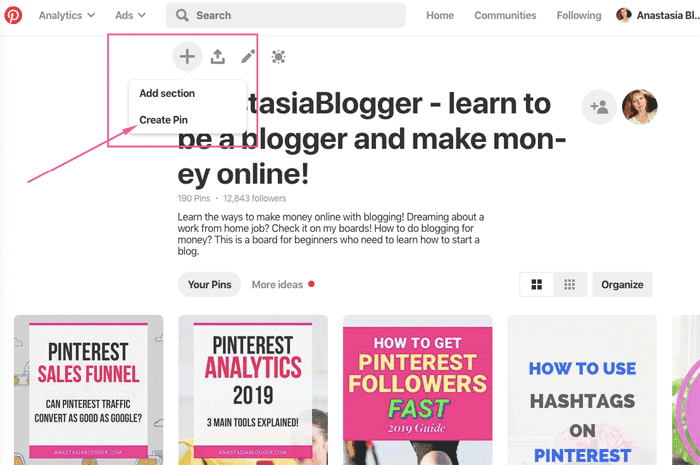 I dedicated an entire module in my Pinterest SEO Traffic Course to manual pinning. There is so much more you can do in addition to just saving pins manually! But most importantly, when you are just learning Pinterest and trying to figure out how to game it, you HAVE to spend time on the platform. 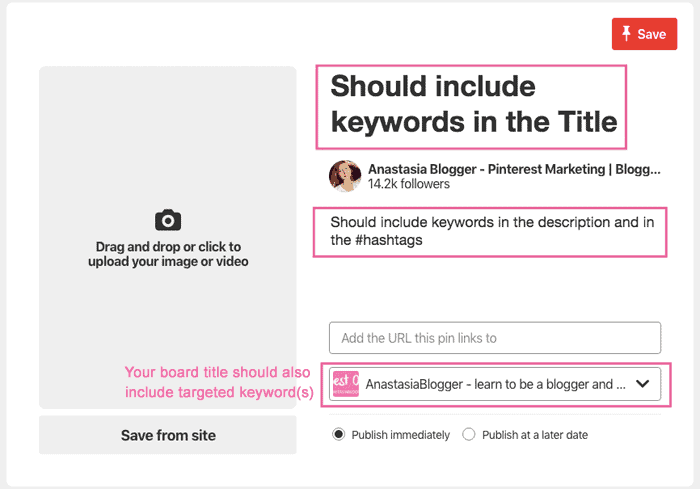 You have to try doing everything a regular user does on Pinterest to see how things work in general on this platform and what is going on in your niche in particular. Without manually pinning and doing other stuff manually on Pinterest, you’ll never have a chance to truly understand how this platform works. And you’ll be doing a lot of things wrong if you don’t double-check your new pins manually before you send them to your scheduler. Without Pinterest scheduling tools, you’ll survive but you’ll reach a point when your time is better spent on other tasks and the volume of your pinning will require too much work. How many pins a day would you recommend to pin for a new blog with few followers? Some people get better results with manual pinning so I’m trying that tactic to see how it goes. I always recommend as many pins as you can. For a new blog, I would grow it gradually. When you ask about pins, do you mean your own pins only? If you have a new blog and not that much content to promote with your own pins yet, you should definitely help your boards gain momentum with relevant and popular pins from other websites. There is no specific number, I’d start with 10 per day and grow it to 30 a day in the first month and would keep growing to about 50 🙂 But that again might not fit every niche. If your niche is DIY, recipes, decor – usually each of your posts will have several images you can use as pins. This increases the number of your fresh pins you can publish each day. So, a combination of my own pins and 3rd party pins is the way to go. Do you mean up to 50 of my owns pins or a combination of my pins and other people pins? Hi, Bianca! I only pin about 20% of 3d party pins, the rest are from my site. 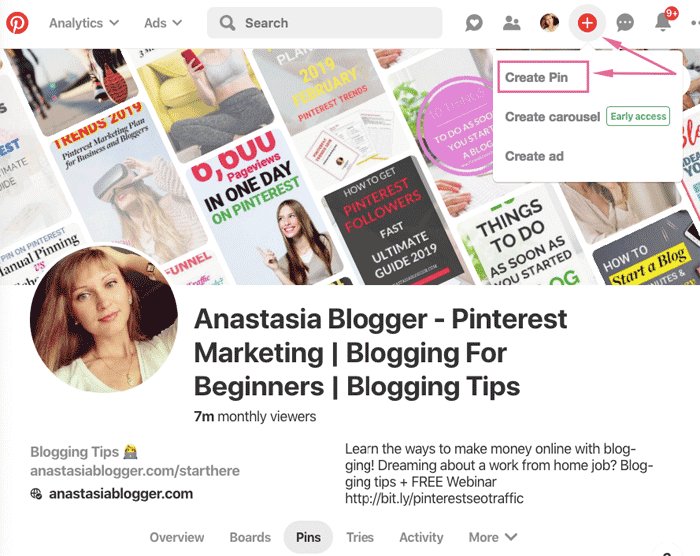 When I create a new board or several boards, I might go as high as 80% of pins from other blogs, because I need first to fill the new boards with popular pins which bring the right keywords with them to the board. But that’s only on some days when I create new boards.